Yakov Smart Gives Business Owners And Professionals A New Way Of Using LinkedIn To Generate Leads, Receive Referrals And Attract Their Dream Clients In His Acclaimed Workshops And Presentations Across The World. Internationally recognized for his marketing prowess, Yakov Smart is sought after as the Go-To-Authority when it comes to all things LinkedIn by CEOs, Key Influencers, Best-Selling Authors and Leaders Of Seven-Nine Figure Sales Organizations worldwide. His LinkedIn Authority System and internationally acclaimed booked, Disrupting LinkedIn: The Definitive Guide To Generating Leads, Receiving Referrals and Attracting High-End Clients through Marketing on LinkedIn, have already paved the way for thousands of service-based business owners tapping into a new way of using the professional networking platform. Known for his dynamic presentation style, Yakov has presented in front of eager audiences across the country both at in-person events and through nationally syndicated webcasts. He’s also taken the stage as a featured speaker at a number of different conferences including the GKIC SuperConference, BLBA Academy and Great Legal Marketing Summit along with being featured as a guest on popular programs such as Sales Founders and Success Profiles Radio. 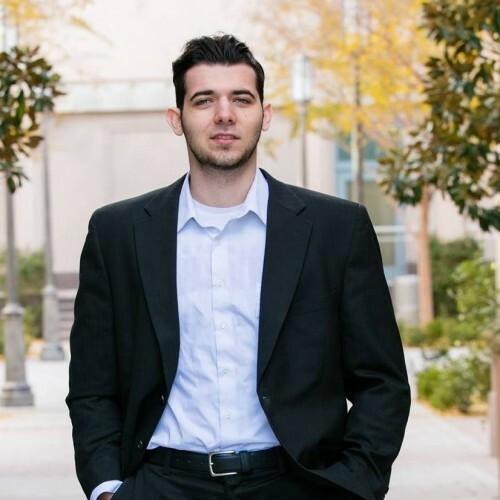 Yakov is an Arizona resident and the Chief Victory Officer at Linked Lead Enterprises. He’s dedicated to working with high-level business owners and organizations across the world as they tap into a new way of using LinkedIn for generating leads, receiving referrals and attracting more of their dream clients. To learn more about booking Yakov, please email Yakov@Linkedleads.Us with the word "Presentation" in the subject line. Find out more about Yakov Smart at http://linkedleads.us/.